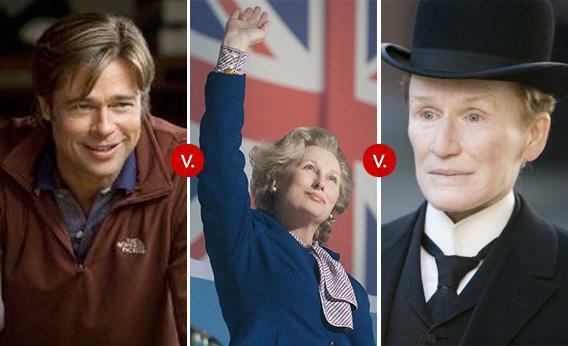 Oscars 2012: Actors and Actresses should compete against each other. It’s time to stop separating the acting categories by gender. Why are the acting awards still divided by gender? During The Hive, we’re asking writers and editors from inside and outside Slate to present their ideas for improving the Oscars. 1) Women and men get different sorts of roles, so we should judge them separately. Putting aside for the moment the accuracy of that first claim—and the question of whether that’s something we should just accept—the second part just doesn’t follow. Every year we judge different kinds of roles against one another. Why? Because they’re all acting! They are all doing the same basic human activity. And women are no worse at this activity than men; unlike, say, basketball, there are no relevant physical disadvantages that come into play. So judge them together! 2) If we threw men and women into the same category, men would get most of the nominations. Again, I’m not sure this is actually true. But even if I knew it would turn out that way, I’d still be in favor of this change—because it would cast a light on the chauvinism of a Hollywood that still does not provide women with enough good, substantive, complicated roles. Why hide this sad fact by shuffling women off into their own separate category? (Well, actually, I can see why many male Hollywood big shots would want to do this, but I don’t see why we accept it.) And think about the arguments we could have every year about this! So much more interesting than whether so-and-so was snubbed or whether so-and-so will wear such-and-such. 3) We’d only have two acting awards then! That’s not nearly enough! This I kind of agree with, actually. So, if we’re determined to keep four awards, divide them up in some other way. By comedy and drama, perhaps. Yes, I wish the academy would just accept that comedy is as worthwhile and important as drama is, but let’s face it: That’s not going to happen. So ditch the gender divide, add a genre divide, and make two excellent improvements at one go.